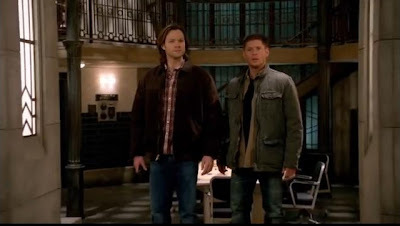 TNR -- TV News and Reviews: 'Supernatural' Season 9: Lots of Men of Letters Goodies! 'Supernatural' Season 9: Lots of Men of Letters Goodies! Supernatural still plans on keeping us entertained, even as we head into an astounding 9th season of The CW show. I really loved the introduction of the Men of Letters story, and it looks like we'll be getting a flashback to the 1930s for more on this secret organization. We'll get introduced to a new Men of Letters character, and Supernatural.tv has the scoop on the entertaining actor who will be playing him. In case you missed it, the always awesome Felicia Day will be back as Charlie--in the Men of Letters flashback episode. Bonus: The case includes a connection to The Wizard of Oz.